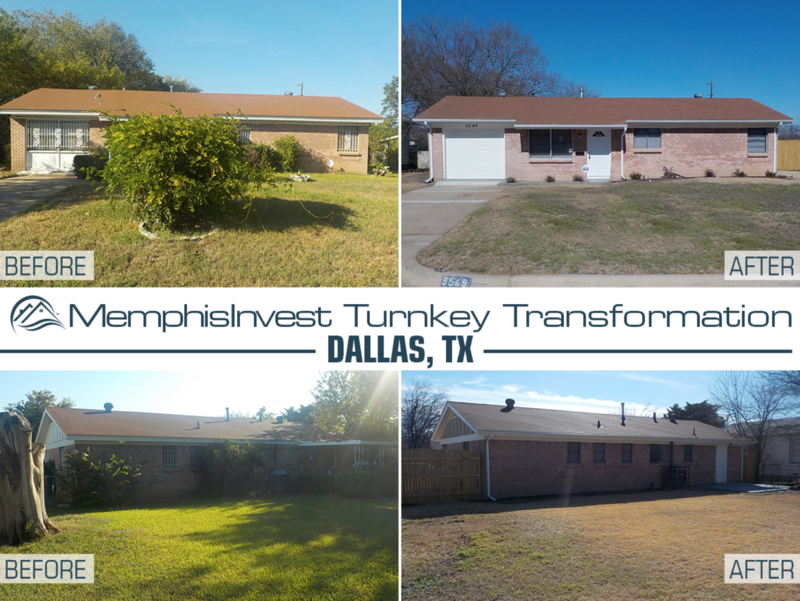 Memphis Invest Turnkey Transformation of the Week! 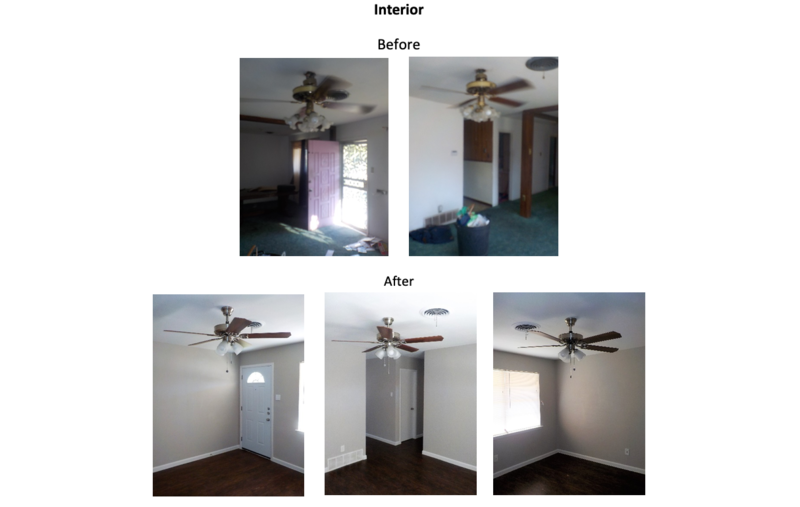 This week's Transformation Tuesday is in Dallas, TX and there was a lot to be done on both the interior and exterior of the property. We had some serious landscaping and a complete garage re-conversion, making this almost 70 year old home a great home for our residents and client! 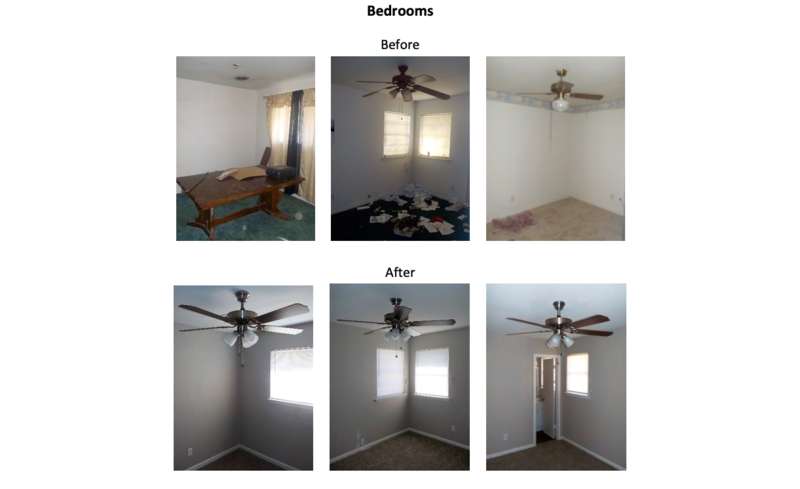 This Dallas home had some great bones, with the property needing little repairs, some paint and new flooring. In most of the homes we renovate, we primarily use vinyl plank flooring in the majority of the living spaces, which provides a lot of benefits to both the home owner and the occupant. Vinyl plank floors are not only affordable and easy to install, they are very durable, versatile and extremely easy to maintain. Carpet and hardwood floors will always be more expensive if you ever have a maintenance issue or a resident move out. When considering rental properties, vinyl flooring is considered one of the best options, because it's easy to clean and also extremely cost effective to replace. Regarding the garage for this property, the previous home owner had converted the garage into a living room area. But many times these types of conversions aren't done well, as there are many factors to consider. For instance, in order for the garage to become a 'lawful' living space, there has to be at least a 7.5ft tall ceiling, and the room has to be able to maintain a 70º temperature at all times (in addition to other criteria). 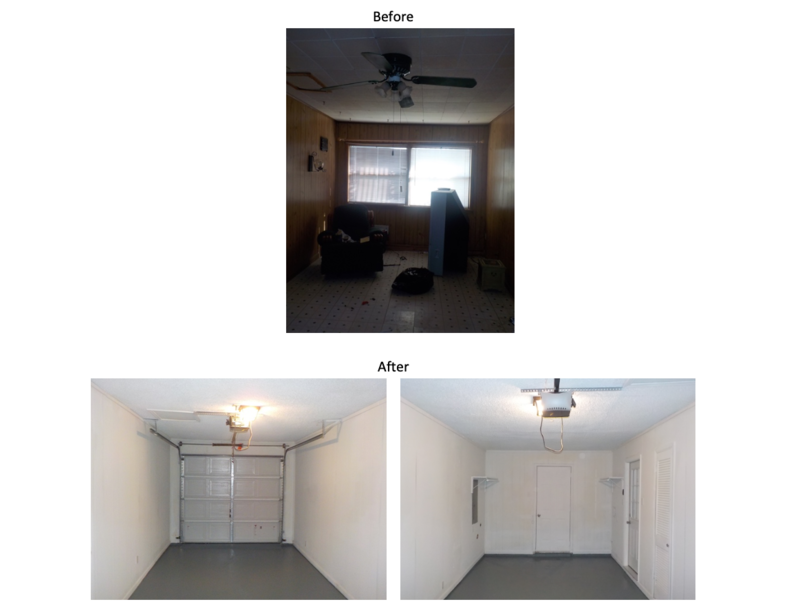 Many garage conversions are do-it-yourself, and in this case car storage was a more valuable asset for our renters and homeowners. In this particular scenario, it was better to turn the space back into a garage so that we could have plenty of storage for the residents. 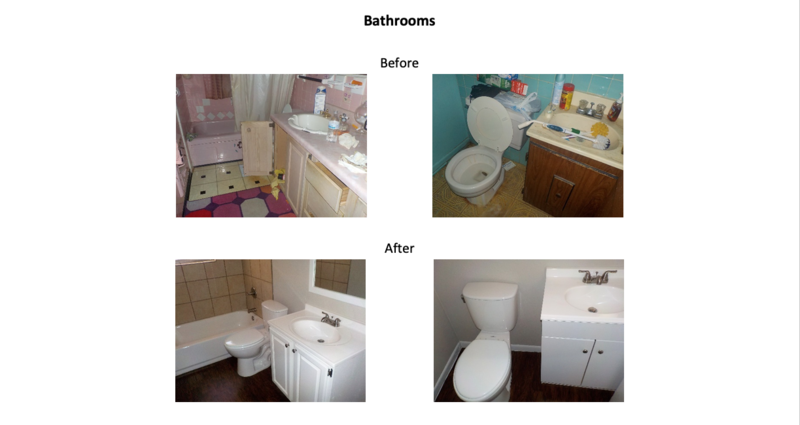 After 77 days and a $47,000 budget, this property was completed. 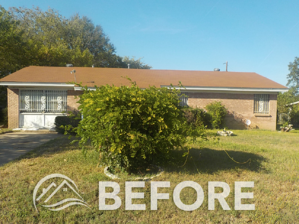 After some tree and bush removal, roof and electric repairs and a good cleaning, this house was ready for residents! The owner of this turnkey transformation owns 3 other properties with Memphis Invest, and has purchased all of them with conventional financing. To learn more about building your portfolio using financing, see our previous Turnkey Transformation post. 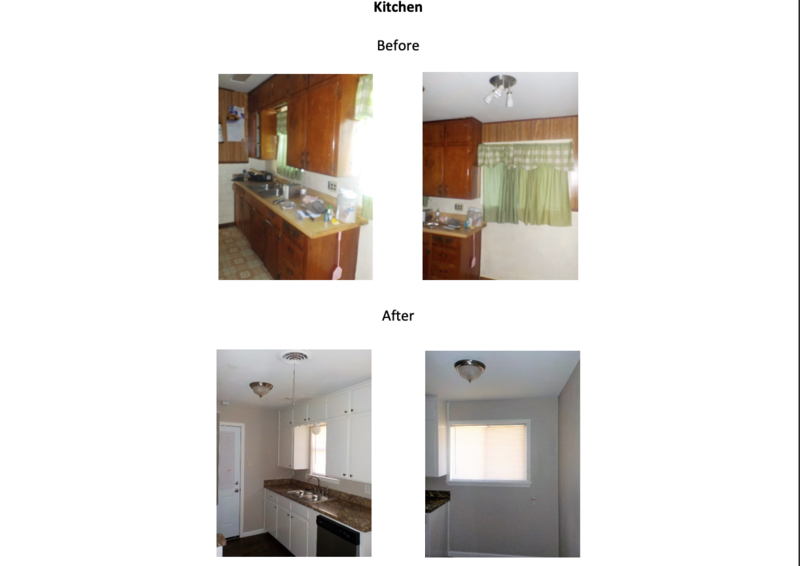 - HVAC, Plumbing and Electrical repairs as recommended by licensed contractors. Let Memphis Invest transform your financial future!